Ploy to restore monarchy for apathy to communist govt: Chairman KC - Integration Through Media ....! BUTWAL: Chairman of the Rastriya Janamorcha Nepal, Chitra Bahadur KC, has viewed that the ploy to restore the monarchy was made after the foreign powers did not like the communist government in Nepal. 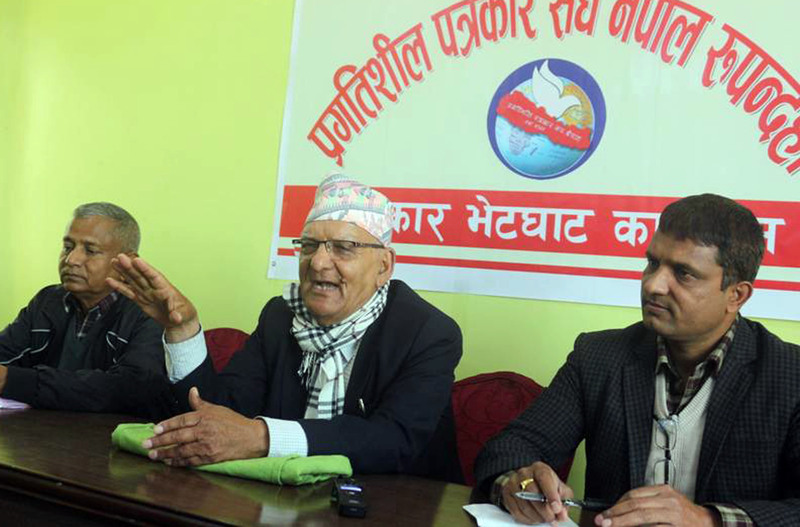 During a press meet organized by the Progressive Journalists’ Forum in Butwal today, Chairman KC however warned that if the achievements such as republic, secularism and inclusiveness were not protected and institutionalized, machination would surface on restoration of monarchy. If it is not possible, efforts could be made for autocracy, he warned. As the Chairman argued that federalism was not handled properly, so the foreign interference grew alarmingly. The black cloud is hovering over the republic, he reminded. He also accused the big party leaders of promoting corruption on shared role which has fueled the policy level corruption. Moreover, Chairman KC asserted that Nepal would not bear the cost of running three layers of governments on the basis of remittance. Province level was redundant now, he argued.